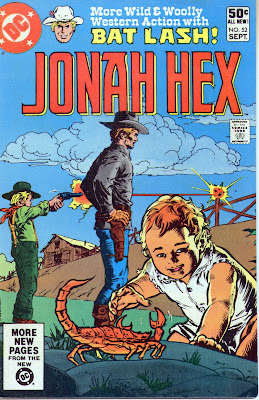 Matching Dragoons: Jonah Hex #52 "Rescue!" 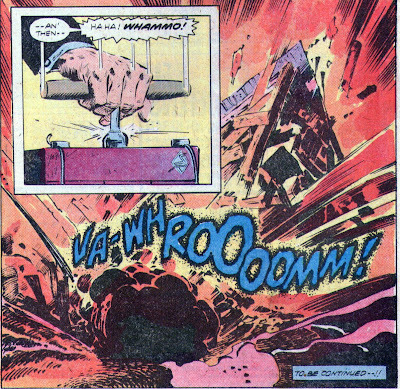 I do believe that this was the issue where I decided that Mei Ling was completely nuts. Either that, or suffering from one HELL of some Post Partum Depression. Or something. She's the one who dumped the baby outside, by the way. 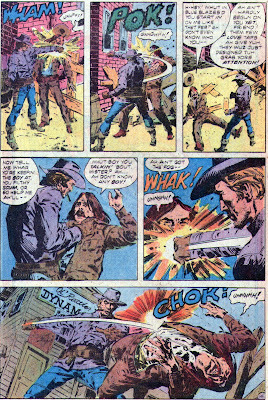 Other than Mei Ling's freaker-outery, we get a "warm and fuzzy" feeling--at least as much as a Jonah Hex story can give a warm and fuzzy feeling--when he and Pete are bonding, with Jonah giving Pete shooting tips. I also found it disconcerting when Mei Ling could only muster a "Oh, no!" when Pete's maw came over all teary about Pete's not coming home. Mei Ling's the type of gal who can only...ah, I'm sick of her already!